Alpha Omega is a fully licensed, bonded and insured plumbing contractor with an outstanding reputation. Your satisfaction is our primary goal! A sewer camera inspection entails a flexible fiber optic video camera that is snaked through the sewer line. In most cases the line is accessed via the cleanout and the results are recorded on VHS. This allows you and your plumber to review the results and determine the best method to correct the problem. Drain and sewer camera inspection work has never been easier, thanks to modern technology. Now there is hardly a pipe or drain that can not be examined internally to save a home owner or business time and money from unexpected breakdowns. 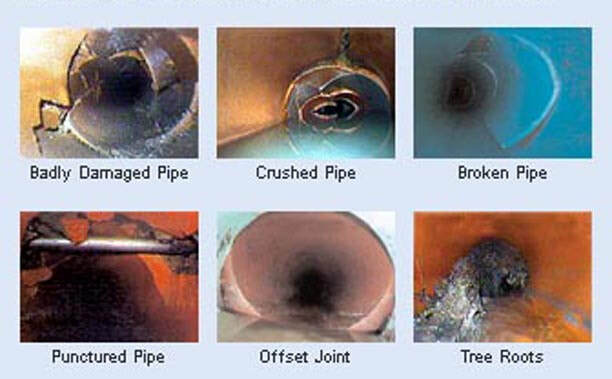 The technology is now so good that the pictures obtained of the inside of pipes and drains are clear enough to easily identify any damage, or even any potential future damage, in the interior part of the pipe. Any build up of debris or dirt can also clearly be seen to allow the right approach of cleaning to take place later. When is a Sewer Camera Inspection Necessary? When a drain problem has continued to reoccur over a short period of time. There may be damage to the line that a camera can reveal. Before occupying a new house, inspect the sewer pipe of a property to protect from unforeseen problems.